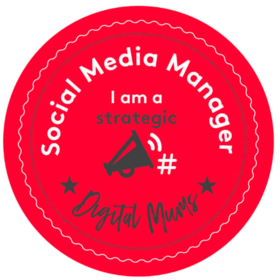 You’re probably thinking what is this blog post is all about? Have we been to a farm to see the Geese recently? No. We were recently asked to test out a new teether called Gertie the Good Goose. If you are going through a phase where your baby is teething, this product is for you. What is Gertie the Good Goose? Gertie the Good Goose is a brand new teether that is 100% safe for babies, which has been designed to fit perfectly into babies hands and to soothe tender gums. 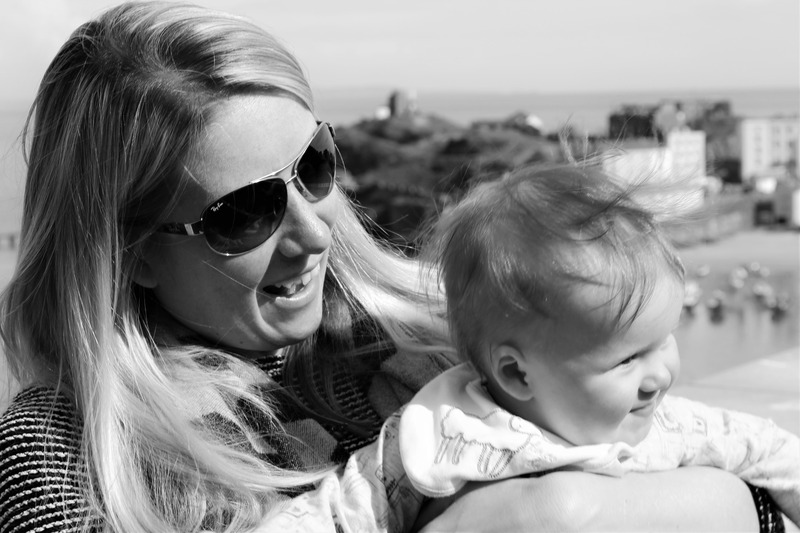 As you can see Gertie looks pretty special, and is ideal for your teething baby. Our little girl was instantly taken with her and put it straight in her mouth on taking it out of the packaging. She especially enjoyed chewing the head and the beak to ease her teething pains now that her canines and molars are starting to push through. 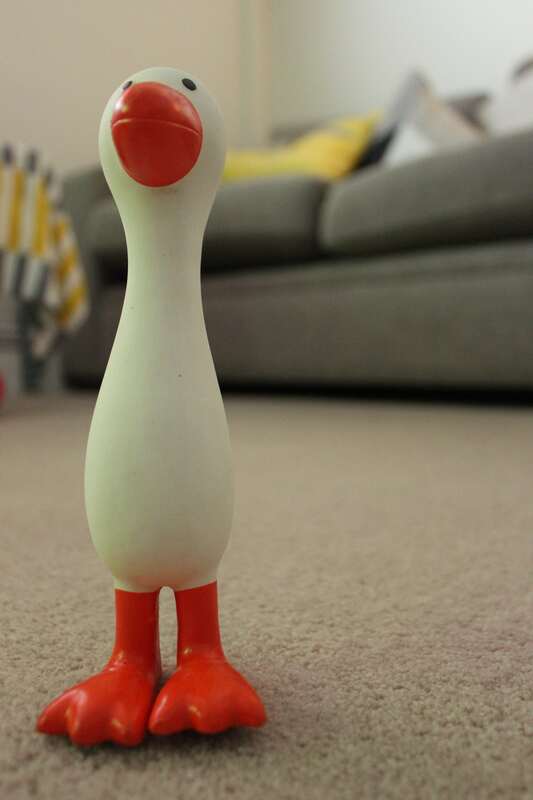 What makes Gertie the Good Goose special? 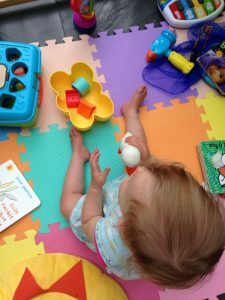 What makes Gertie special is as well as being a teether, it allows your child to explore their five senses. It has a vanilla taste to it, and a soft scent too. It’s soft to touch, with nice moulded feet that my little girl loves to play with. 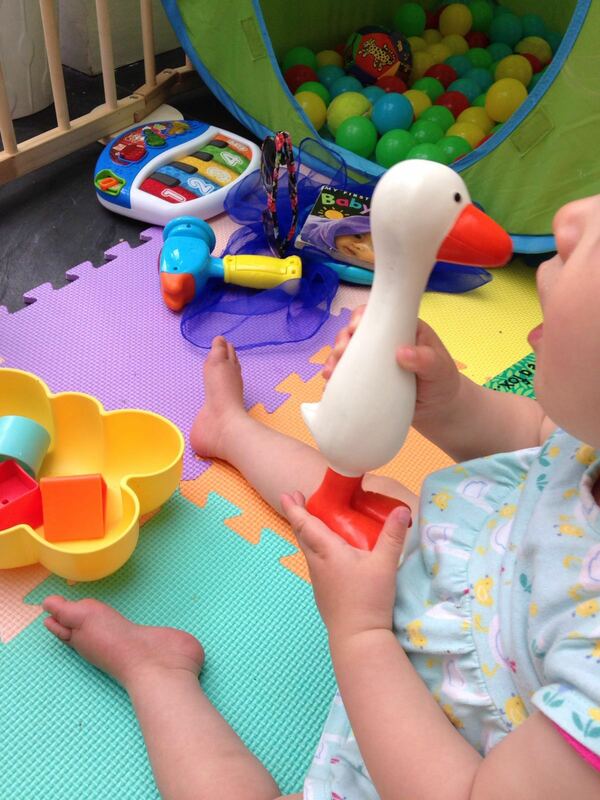 On squeezing Gertie she makes a nice quack which is great to keep your baby entertained. And, lastly it’s bright and colourful perfect for attracting their attention. As well this it is 100% safe as it’s BPA, PVC and Phthalate free. 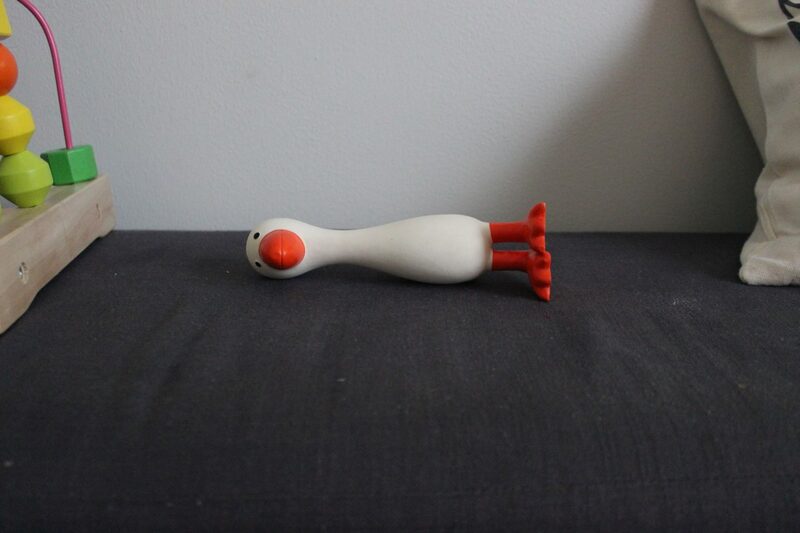 Where can I buy Gertie the Good Goose? Our little girl really likes having Gertie as a teether, and it would make an ideal different type of teether for any parents or parents-to-be. You can purchase her from Kiddicare for £13.99. Thanks for reading my review of Gertie the Good Goose. I was given her in exchange for a review. We have a Gertie the Good Goose too! She is the most amazing teether!